It was first available in the form of a memory foam mattress topper pad, then later as an entire mattress. Ever since the arrival of memory foam products on the market, their popularity has exploded. It is the fastest growing section of the mattress market. Each year, more and more mattress companies are offering seemingly unlimited memory foam options. 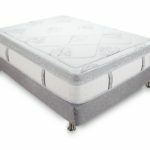 Keetsa Mattresses are one example of a company that makes great mattress toppers. 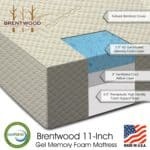 Here are some things to keep in mind if you are considering purchasing a memory foam product. It is helpful to first understand what exactly memory foam is. It is made from polyurethane with added chemicals including a substance called viscoelastic. It is manufactured to be very energy absorbent and extremely soft. Memory foam of higher density softens as it reacts to body heat, allowing it to mold to a resting body in a matter of a few minutes. A memory foam topper is more dense than a regular foam topper, making it much more supportive. The topper is placed onto an existing bed and can bring new life to an older bed. There are both pros and cons to using memory foam. One of the main benefits that people report is that they make it easier to sleep next to your partner. With a traditional mattress with coil springs, every movement is felt by both people on the bed. Since a memory foam pad is so absorbent, any movement including tossing and turning throughout the night is not felt by the other person. Memory foam mattress toppers are also an excellent choice for people who have back problems. When someone with a sore back lies on memory foam, the heat from their body softens the foam in all the right places, creating a supportive balance and relief from pain. Relieving back pain can help the person get a better night's sleep. Memory foam has also been found to be a good choice for elderly people, who commonly report having trouble sleeping through the night. Aches and pains that come along with old age make it difficult to have truly restful sleep. With a foam mattress topper, the amount of times that an elderly person will be woken up by pressure on their joints and pain is greatly reduced. There are many older people who swear by memory foam and claim it has given them their best sleep ever. 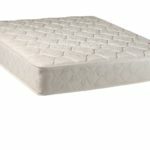 There have been reported disadvantages to using a natural foam mattress pad as well. The most prevalent complaint is that they are far too hot. People who live in warmer climates especially have said that memory foam toppers retain too much body heat during the night and cause sweating and discomfort. There have also been complaints of memory foam giving off an unpleasant, chemical-like odor. To avoid this problem, it is recommended that a new memory foam pad or mattress should be allowed to air out for a few days before use. Another problem some people have reported is that they find foam toppers to be much too firm for their liking, especially during the first few months of ownership. 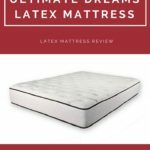 If you have reviewed all of the information about memory foam and you think it's the right choice for you, there are some important things to remember when choosing and purchasing a foam mattress topper. Not all are created equal and they come in a broad range of prices and quality. One important element of a mattress topper is thickness. This is the actual measurement of the memory foam layer. The thickness is quite often an indication of the quality level of the product. Most are between two and three inches. Two inches is sufficient, but three inches will offer a more plush and luxurious feel. When buying a mattress topper, try to buy a brand name product that has reviews from trusted sources and consumers. There are companies out there that use fillers and fake foam products. These will not last nearly as long or offer the comfort and benefits offered by well known, reputable brands. Many fans of mattress toppers claim that the best ones come from Europe and the United States. If these seem too costly, keep in mind that there are great sales on mattresses and toppers several times a year. Memorial Day and Labor Day are great times to shop for new bedding. Weight and density are arguably the most key consideration. The density will determine the softness and the weight will determine the heft of the mattress topper. Cheaper foam will be three pounds or less. 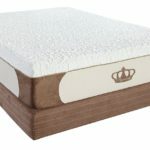 If you want the highest quality, look for a foam mattress topper that has a weight of at least four, preferably five pounds. 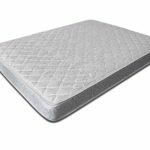 Although the heavier mattress toppers are more expensive, you truly get what you pay for when it comes to memory foam. 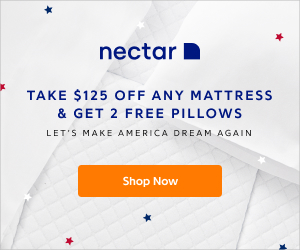 ← Why Should You Consider Purchasing an Eco-Friendly Mattress?